OMG – I couldn’t be more thrilled with this easy DIY project for the summer. 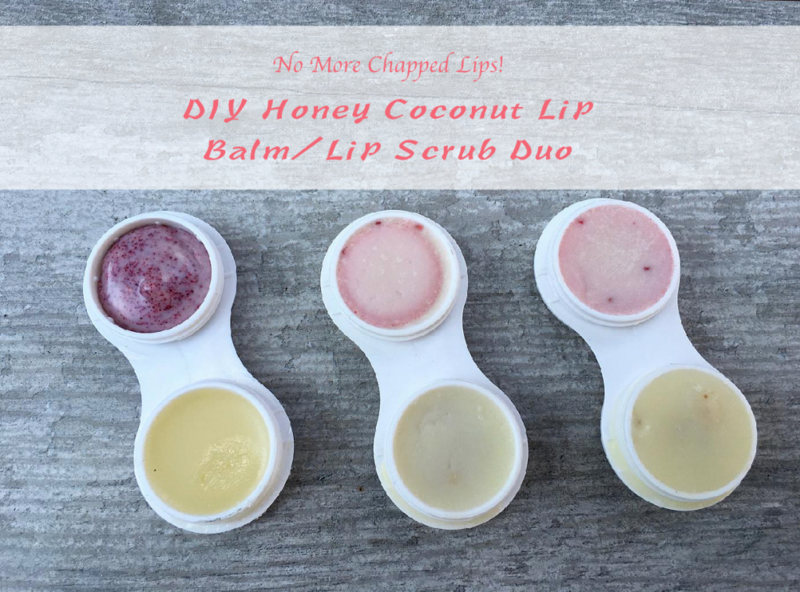 I always get dry chapped lips and need a good sugar scrub to get my lips nicely exfoliated, so when I was taking out my contact lenses the other night, I had the idea! The little contact lens case (one for each eye) would make the perfect DIY Honey Coconut Lip Balm/Lip Scrub duo container. I quickly ordered a bag of my trusty zinc oxide (the best natural sunscreen) and went to the drugstore to buy tons of contact lens cases – for my friends! Place the beeswax and coconut oil in a heat-proof pouring container (I have a tiny measuring cup with a spout, which is perfect). Place for about 2-3 minutes in the microwave (or use a double boiler). Stir with a wooden stick to make sure that all the wax has melted. Carefully pour half the mixture into one side (the right eye) of your contact lens case. Spoon in the sugar and mix in with toothpick until well-combined. This should fill about 4 single pots. Now mix your zinc oxide and raspberry powder into the remaining coconut/beeswax mixture. Mix in the honey, and pour into the other side of the contact lens case. Leave to set for an hour. Screw on caps and you are set.